In yesterdays article we introduced the concept of free open source accounting software (Part 1) and we looked at GnuCash, TurboCASH, Lazy8Ledger, Pbooks and AdminsoftAccounts.Try Xero for FREE – Online accounting software for small businesses . Today we will be looking at some more options of free open source accounting software available. 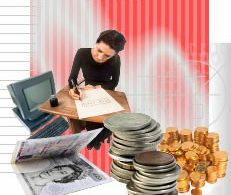 Front Accounting includes enterprise resource planning (ERP) elements and is web-based. It is suitable for small to medium companies. It supports multi-currency and multi-branch companies. Sadhanasoft’s Aqura Lite provides for multiple companies to be created and custom vouchers and it comes with a built in tutorial. It also offers more than 100 reports, each having various options for customization. Please note however that the Aqua Lite (the free version) does not have all the functionalities of the full Aqura version. It works with Windows but not open source. Ledger is developed using Delphi and is a basic desktop application accounting system which is easy to use and install. Windows based, but for Windows Vista some small changes to the BDE configuration is required before the program will run. OneStep Accounting is designed for small to medium sized companies which includes report designing functionalities. 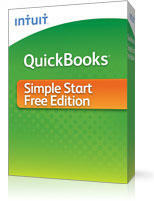 QuickBooks accounting software has different versions. The Simple Start Free version tracks up to 20 customer and vendor contacts. QuickBooks includes online banking, manage payroll and payroll taxes. Runs on Windows and is not open source. Tryton is more than merely an accounting software package and is rather considered a business solution. It is a fork of the version 4.2 of TinyERP (later called OpenERP). Suitable for small and medium business. It is available as a stand alone application or also as a set of modules for eGroupware. WebERP is a popular accounting / ERP web-based open source application for small to medium-sized enterprise. It is multi-language and allows for multiple currencies. The latest version was released on 8 Nov 2009. It is rich in functionality and even includes serial tracking capabilities. It is still important to look at a demo of potentially suitable free open source accounting software for enterprises before making a final decision. The look and feel should be considered, the speed of the software, as well as security considerations such as the possibility of password protection. 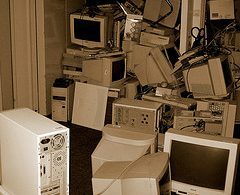 As businesses grow and more functionality may be required at a later stage, it is good to go for a solution that allows for such future growth. For example, if only services are delivered, and later on inventory are being sold as well, it would be a frustration if the chosen software solution does not allow for inventory control when the business eventually needs it. The same consideration should be given to the number of users allowed on the system simultaneously. * Updated 1 Feb 2010: Check out this new post regarding an affordable web based online accounting system. Thank you for such a post. I have downloaded some free accounting softwares but not working with Vista. So I prefer online version. Thanks for the share.